Adult hearing loss is common and isn’t always just a result of getting older. Find out some of the common causes of hearing loss in adults. As we get older, our body and minds go through various changes. 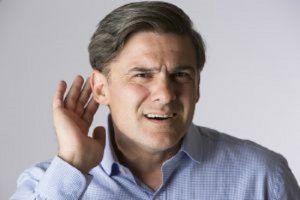 One thing that seems to inevitably occur with age is hearing loss. However, age isn’t always the reason that you may notice you are having trouble hearing. Here are some common causes of adult hearing loss. If you are constantly exposed to loud noises, adult hearing loss may occur over time. You may not even think that certain noises are considered “loud” but prolonged exposure to them can damage your hearing. It’s a good idea to wear earplugs to loud concerts and festivals. Things like lawnmowers and various construction tools can even cause hearing loss over a period of time. An extremely loud noise such as an explosion can cause sudden hearing loss which occurs instantly and can be temporary or permanent. Though the cause of this disease is still unknown, it causes problems to the inner ear. It typically occurs in people that are between the ages of 30 and 50 years old. Sensorineural hearing loss is the type that stems from this disease. This disease can cause dizziness or Tinnitus (a ringing sensation in the ear). People may also become sensitive to loud noises. This hearing loss tends to come and go, but over time there is some permanent hearing loss that occurs. This is another disease that can lead to conductive hearing loss. This occurs when the tiny bones that exist in the middle ear aren’t able to grow and move properly. Typically, this is something people are born with and can luckily be treated with surgery. Autoimmune disorders are ones that cause the body to attack itself. With this specific disease, the inner ear attacks itself, which causes hearing loss. This hearing loss occurs really quickly and should be addressed as soon as possible. There are treatments available that help to keep the hearing loss to a minimum. Surprisingly, there are some medications that can actually cause hearing loss when used. This is why it is important to talk to your doctor about all of the medications that you take so that they know what to give you. Some examples of medications that can cause adult hearing loss include certain chemotherapy drugs, large doses of aspirin, and loop diuretics. Google+, LinkedIn, and Pinterest to keep up with Bay Area Audiology. This entry was posted on Friday, August 3rd, 2018 at 2:53 pm. Both comments and pings are currently closed.